Good News....and MORE Good News! We are moving forward! This album is going to be awesome! Well, I don't really know exactly where to begin. It has been a bit of a whirlwind since my last update. I must confess that this journey has surprised me and challenged me in many ways. And I certainly was not expecting what I'm about to share with you. Without going into a lot of details, my promotional efforts brought me to the attention of Nick Coetzee of Rain Music. Working with Nick, I now have the opportunity to take this album project to Watershed Recording Studio in Nashville, TN. I'll say it again because even I have a hard time believing it. I now have the opportunity to record this project in Nashville, TN! I certainly did not think two months ago that this... Read more here. See sample track at bottom of story. George Lower is an award winning singer/songwriter with more than twenty years of experience leading worship and music in church. 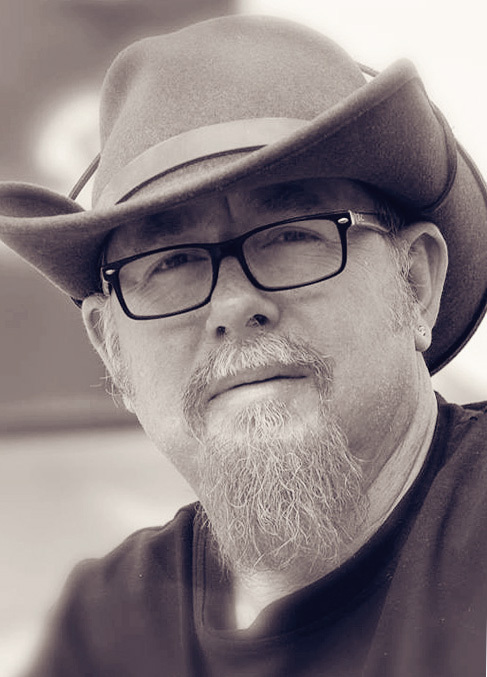 He is a third generation Floridian who grew up in Alachua, Florida; and, he studied guitar as child under the tutelage of deceased Gainesville jazz guitar legend, Charles Bush, Jr.
During his career as a full time church musician George began to write songs that reflected his passion for his faith. George's songwriting credits include awards from TopCatholicSongs.com for Top Ten Songs for Lent with "Turn My Heart" and Top Ten Holy Spirit Songs with "Shine Out." George's sacred music is currently published by International Liturgy Publications in Nashville, TN. After leaving full time ministry in 2011, George began touring as a retreat leader with the Dynamic Catholic Institute performing for audiences nationwide. In conjunction with the change in jobs, George released an EP titled "Hold My Hand" in October 2013. The title track was an original song that departed from the sacred music to which he was accustomed to writing. George began to consider writing secular songs that reflected his folk roots derived from growing up in north Florida. Thus George began the process of researching and writing folk songs that reflect aspects of Florida history and culture. He released a short 2 song EP containing the titles "I Think of You" and "City of Hawkinsville" in early 2015. George has started a Kickstarter campaign in order to turn this short release into a full-length album of original folk songs by the end of 2015. The City of Hawkinsville Steamship was abandoned in the Suwanee River in 1922 and eventually sank. She was left derelict due to the completion of railroad lines which made the ship unprofitable to operate. Ironically, she transported much of the lumber used to complete the railroad trestle over the river. George Lower album: 9 days to go. Please consider a pledge. Well, it is coming down to crunch time! We have 9 days to go! The pledges keep coming in at a steady pace but we really need to up the ante and get more pledges on board here in these last few days. Let's keep pushing forward! Any amount gets us closer to the goal of full funding! I'm so appreciative for the 41 people who have stepped forward and pledged support so far! Your support means the world to me; and, I will do my best to exceed your expectations with this album. If each one of you could leave a short comment on the project page it will help inspire others to decide to jump on board and make a pledge! Please continue to share the updates on your social networks. Please consider supporting George Lower's "I Think of You" Florida Folk Music Project.